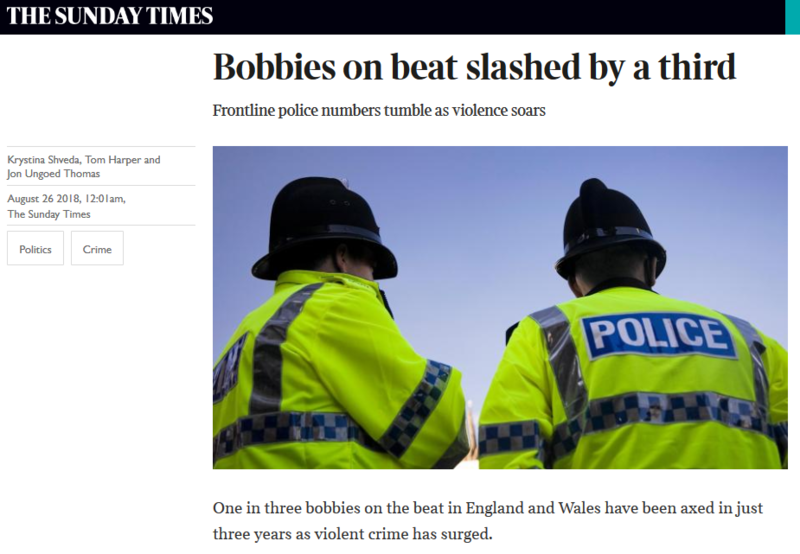 Bobbies on the beat slashed in England AND Scotland! Well, actually, hardly even trimmed in Scotland. So that’s a cut of 86 or 0.49% of the 17 256 and not being ‘slashed by a third’, at all, like in England? So that’s about one sixty-sixth of the cuts in England? That SNP! Don’t you just hate the way they’re so capable and trustworthy? 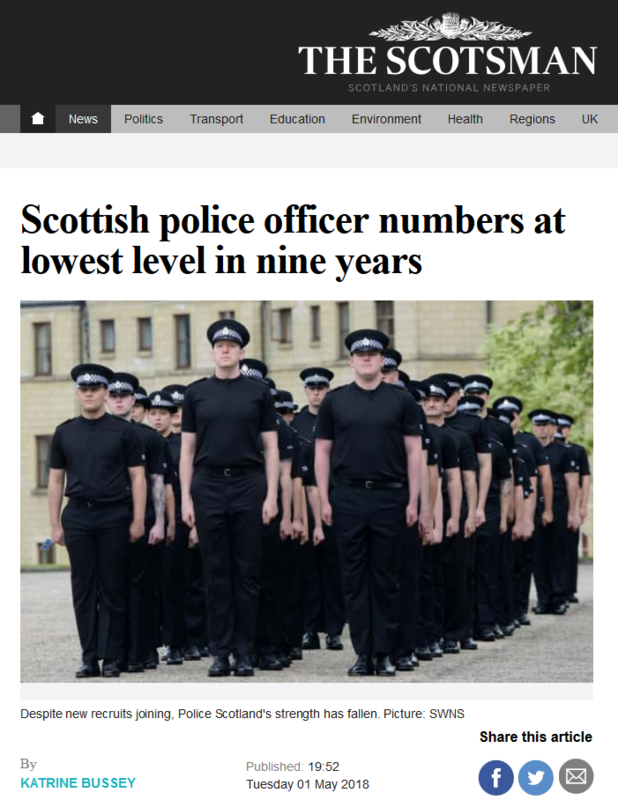 If there was not such fierce political resistance to the merger with British Transport Police (as that would do away with the word ‘British’) then we could add the 280 odd officers based in Scotland to the figures and hey presto we have an actual increase. I seem to remember there was a similar, although not political, resistance when the British Airport Authority police amalgamated with the police authority local to their particular airport – 1970’s I think. They are now all part and parcel of Police Scotland with no seeming ill effect. btw my first paragraph should not be read as to imply that the 280-ish BTP officers stationed in Scotland are in any way ‘odd’ as I have no evidence to this effect. I wouldn’t worry, there are a few “oddballs ” everywhere 😁 . Keep making with the positive waves Moriarity. Of course it couldn’t be the case that some of the 86 police officers were actually retiring could It? And will of course be replaced at some point. I am sure if someone was to look at the monthly figures for police numbers they would vary around a mean number and a large part of the variability being retirement or people leaving because they are changing careers. I saw this story when it was reported in the Herald, minus of course any mention of the situation in England and Wales for comparison. If I remember correctly The LibDems were mentioned as having found out the numbers. I remember wondering at the time why they had suddenly wakened up and, given the ridiculous nature of their claims, why the had bothered.